Samsung announces another addition to its Galaxy line, the Galaxy Win. It’s a mid-range phone that is aimed at providing a fast mobile experience for Smartphone users that don’t have the budget or don’t want to pay for much expensive Smartphones. Of course, that does that mean that because they’re less expensive that they’re less impressive because they are more than capable of competing at high level in the Smartphone world. As what Smartphone users know, Galaxy phones have similar designs. That means that the front of the device is dominated by the display. Above the display are the front camera, earpiece and sensors. Below the display is the Home button flanked by 2 capacitive buttons. At the back sits the rear camera with LED flash and the speaker. On the right side is the power button while on the left side is the volume rocker. On top you’ll find the headphone jack while at the bottom is the port for the micro USB cable. 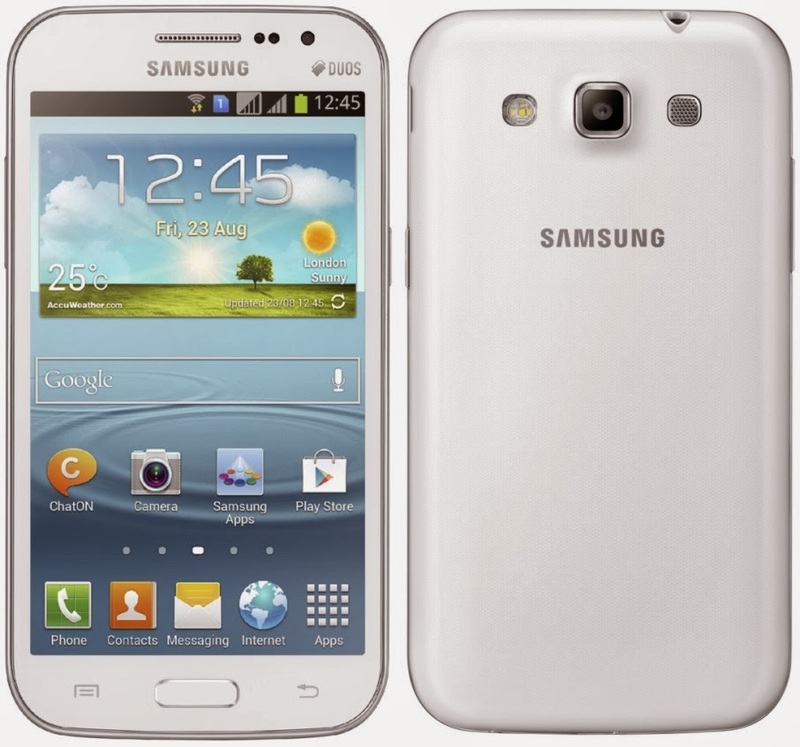 The Galaxy Win sports a 4.7” WVGA TFT LCD display with a resolution of 480 x 800 pixels. The resolution is pretty low for a screen this size, that is why the display is a bit stretched out resulting to just 199ppi pixel density. Individual pixels can be spotted but only if you really look for it. Other than that, it’s a pretty nice display where colors are accurate and the brightness is solid. At the rear of the device is a 5MP shooter with LED flash. It has autofocus and includes features such as Geo-tagging, touch focus, and face and smile detection. It can shoot 720p videos at 15fps. It takes decent quality stills but it will be hard to capture a decent photo or video if the intended object is moving. The front camera, on the other hand, is good for self-portrait photos or video calling. To be able to enjoy fun video calling with family and friends, one only needs to subscribe to the many reliable VoIP providers available like RingCentral VoIP Services. The Galaxy Win has Android 4.1.2 Jelly bean with features that include Smart Alert, Easy Mode and Motion UX. This version of Android is about a year into the market and high-end Android phones are already using the 4.2 version and waiting for the v5.0 to be available. Still this version of Android makes screen transitions smoother and opening of apps load without any lag. If you want fast performance, you got it. Inside the phone is a quad-core Qualcomm Snapdragon 200 processor clocked at 1.2 GHz and an Adreno 203 GPU. That translates to a phone with a snappy performance whether you are web-browsing, playing games, opening a certain app and/or multi-tasking. The device will come in two different versions depending on the market – single SIM and dual-SIM. The dual-SIM is ideal for those who want to store their personal and business contacts in one phone but be able to sort them accordingly. Powering the phone is a 2000mAh battery. The resolution may favor the small battery since it’s not power-hungry. But the quad-core processor will at times be too much for the battery this big or this small and will obviously drain it much faster. The Galaxy Win can connect to the web via its Wi-Fi connectivity. Share files to and from another device via Bluetooth. And can transfer files to and from a computer through the micro USB port and with the aid of a micro USB cable. For a mid-range phone, the Galaxy Win has pretty decent specs and will definitely attract Smartphone users. Therefore, this phone is recommendable despite some of its missing dimensions.